We specialise in providing vehicles on a flexible basis for multiples of 28-day rental periods. * Per 28 day rental. * Based on 28 day rental. We have a hire fleet of over 3,500 vehicles so if you are a Fleet Manager looking for a temporary Fleet of vehicles or need a vehicle on a personal basis we have a solution to meet your requirements. Post Brexit, we have experienced a massive growth in demand for our Long Term Rental Packages. Companies are replacing Long Term Lease vehicles with our Short Term flexible ones that have no early termination fees. They then have total flexibility over their fleet of cars and vans only paying for vehicles when they need them and returning them when they are no longer required. With Apex Car Rental you are getting low fleet costs without the long term and financial commitment associated with conventional Contract Hire and Leasing. Please look at the selection of vehicles below and we hope that you can find a vehicle to suit your requirements, we have a selection of vehicles from the most popular Manufacturers including, Alfa Romeo, BMW, Fiat, Jeep, Kia, Mini, Peugeot, Toyota, Vauxhall, Volkswagen, & Volvo, alternatively, please do not hesitate to contact us and we can tailor make a package to suit your individual needs. In Today's uncertain world we have experienced a massive growth in demand for our Flexible products. Companies are replacing Long Term Lease vehicles and vehicles they purchased outright with our vehicles taken on a flexible basis. They then have total flexibility over their fleet of cars and vans only paying for vehicles when they need them and returning them when they are no longer required. What is Daily Car Rental & Van Rental? Apex can offer Daily Car Rental & Daily Van Rental from many collection locations near Middlesex, Norfolk, Surrey & Sussex. 24 hour daily car or van rental collection is also available from three Airport Locations. 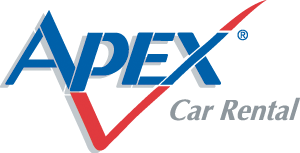 If you're looking to hire a car or van on a daily basis for a rental period of 1 to 28 days, then why not book car rental or book van rental online now with Apex?